You can perform conditional actions, such as only perform a transcode if the proxy file doesn’t exist, or check whether a file can be opened by QuickTime or FFmpeg before deciding which exporter to use. CatDV Pegasus includes native playback of a wider range of media types. This provides native playback without transcoding of many common media files, including QuickTime, MPEG2, H.264, AVCHD, DPX, XDCAM EX, XAVC, R3D, WMV, and many others covering a wide set of prosumer and DSLR cameras*. Our CatDV personal archiving plug in is also built into CatDV Pegasus allowing you to conduct desktop archiving (to storage that presents itself as a mounted drive) without support of the Worker Node. The enables Pegasus users to Archive, Purge, Restore and check the archive state of files. This means CatDV can collaborate with Avid as never before, providing a full round trip of media and supported metadata. Logging clips and sequences can be performed outside of the Avid edit suite saving valuable time and resources. 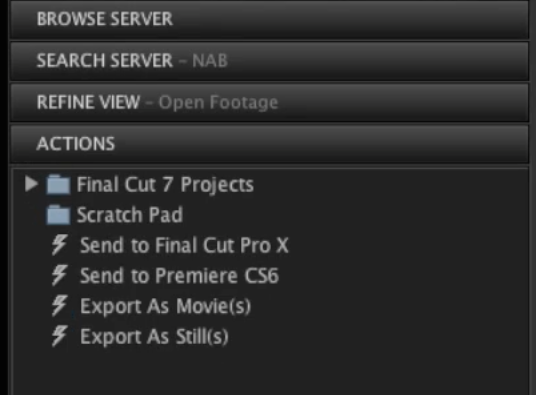 Shot lists with added meta data can then be prepared off site and then sent to the Avid NLE for editing. Media can be ingested and transcoded using the CatDV Worker and then Pegasus can send the clips to Avid . 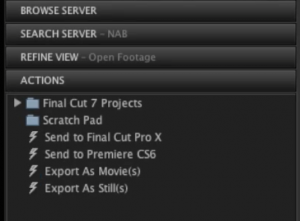 Master clips, sub-clips and sequences created in Avid Media Composer can be exported to CatDV. Supported media and metadata is imported to CatDV, the Avid MXF media is relinked and metadata available to all CatDV users. 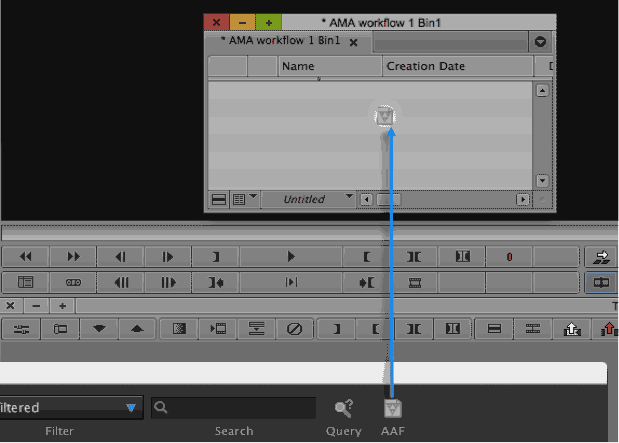 Clips and sequences can be simply dragged into Avid by selecting the AAF Tool icon and dropping onto any open Avid bin. * For media playback 3rd party codecs may be required.